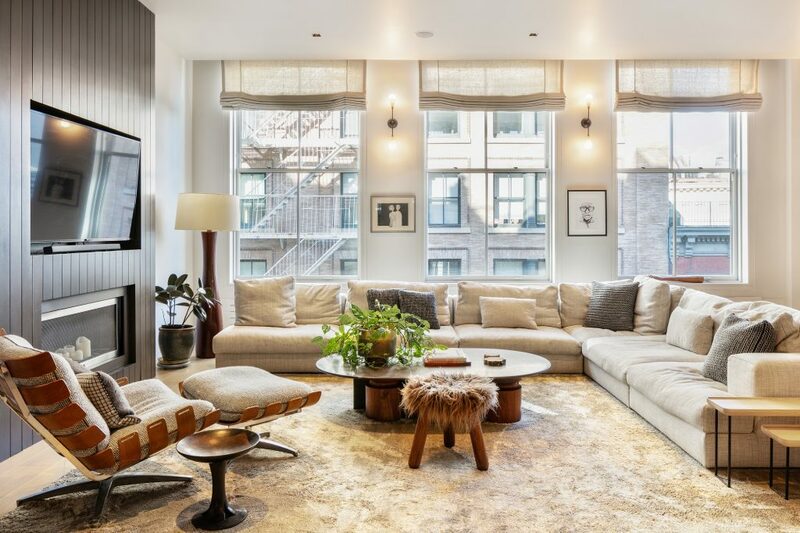 Enjoy astonishing space and light in this 50-foot-wide, four-bedroom, four-and-a-half-bathroom Tribeca loft featuring bespoke designer finishes, indulgent modern conveniences and ample storage space. Arrive in the 3,341-square foot home via a key fob-locked elevator that opens to a gracious foyer. 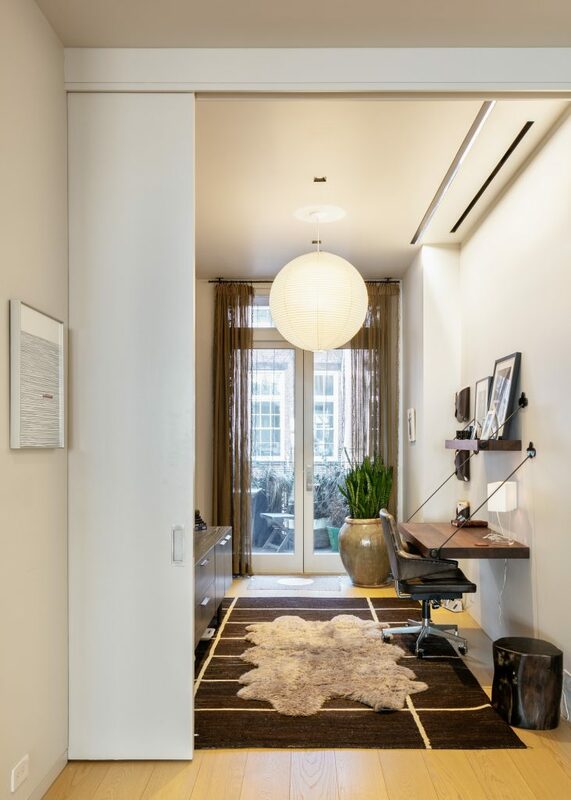 Here, a handcrafted oak door, designer lighting and chic wallcoverings set the tone for what's to come, while the mudroom/closet and a full bathroom add convenience to the entryway. 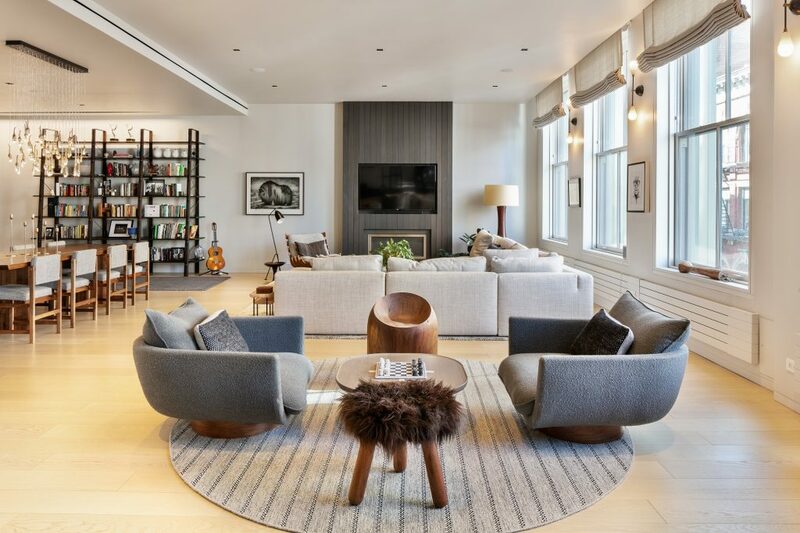 Ahead, grand proportions and golden light fill the 33-foot-wide great room thanks to massive north-facing windows. This sprawling space accommodates generous living and dining areas with the shiplap fireplace and television surround as a stylish focal point. Admire the soaring ceilings and white oak wide-plank flooring, and take note of how the custom glass-and-steel doors allow light to flow unimpeded to the library/bedroom, featuring handsome built-ins, a walk-in closet and full bath. 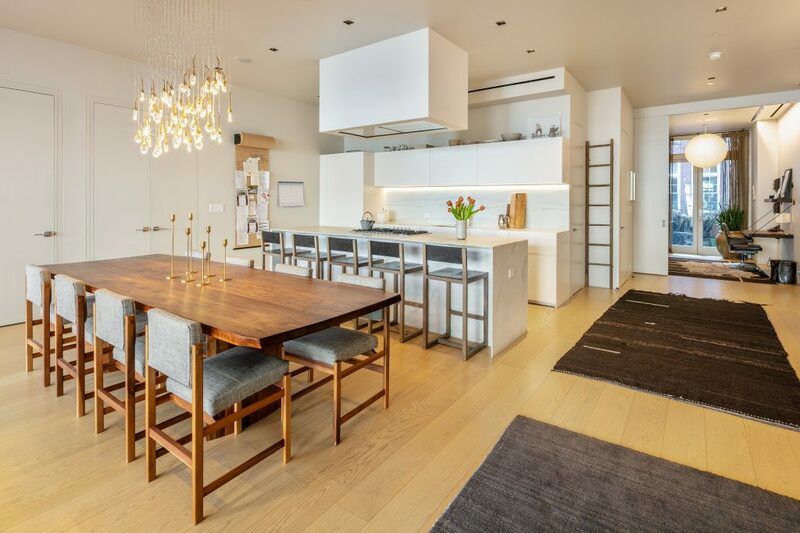 Chefs will flock to the beautifully executed open kitchen featuring minimalist cabinetry, slabs of Banco Borealis marble, a waterfall island/breakfast bar and appliances by Gaggenau and Miele. To the right of the kitchen, a pocket door reveals a delightful private study that opens to the home's fairy tale landscaped and irrigated southern balcony. 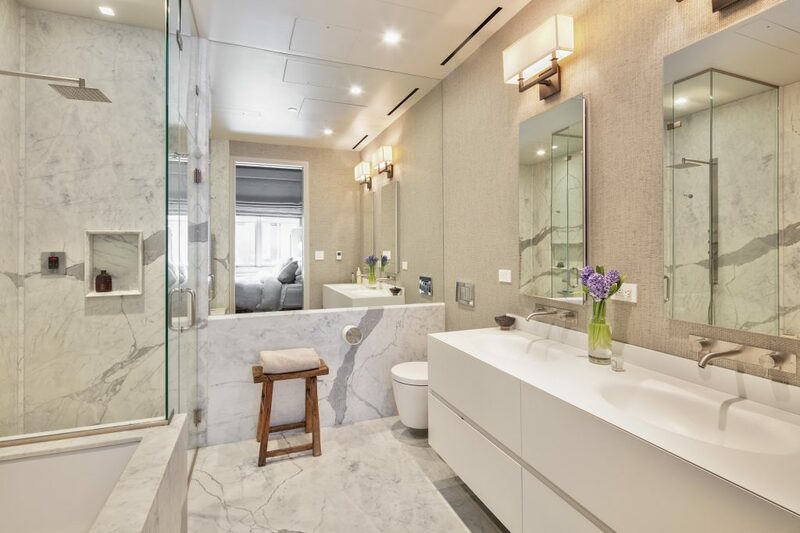 Wake up to warm sunshine in the master suite featuring a spacious walk-in closet and a luxe en suite Calacatta marble bathroom with a Zuma soaking tub, steam shower, double vanity and Toto water closet. 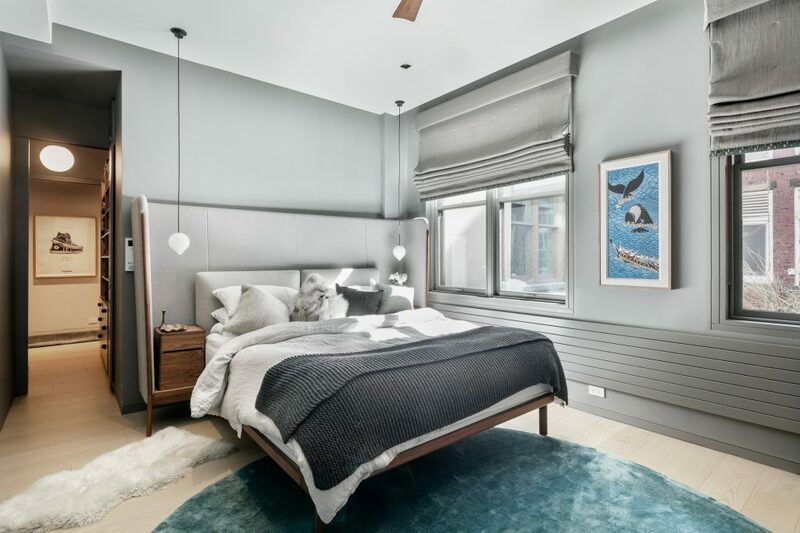 A secondary entry delivers you to the home's private hallway where you'll find two more bedroom suites with bright windows and private baths. 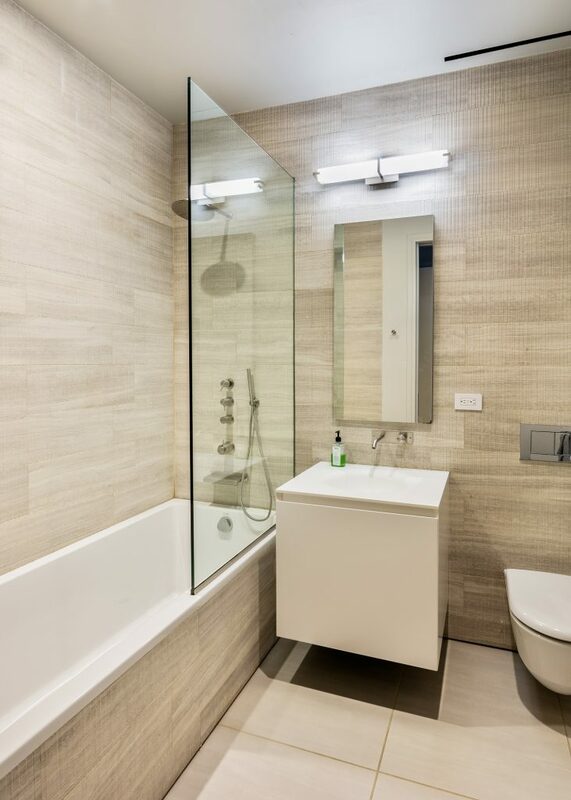 Every detail of this fine home has been carefully selected to provide style, comfort and convenience. The four-zone Mitsubishi heating/cooling system and auxiliary radiant heat attend to temperature. There are pre-wired Control 4 smart home capabilities for audio/video, lighting and window treatments. And the large laundry room with a utility sink, storage and GE washer and vented dryer make laundry day a breeze. 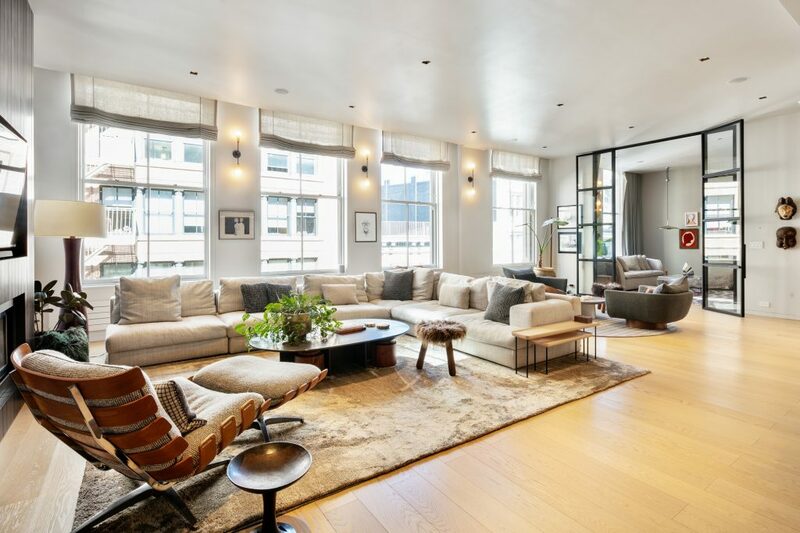 52 Lispenard Street is a modern condominium conversion set within two seamlessly combined1860s cast-iron buildings. 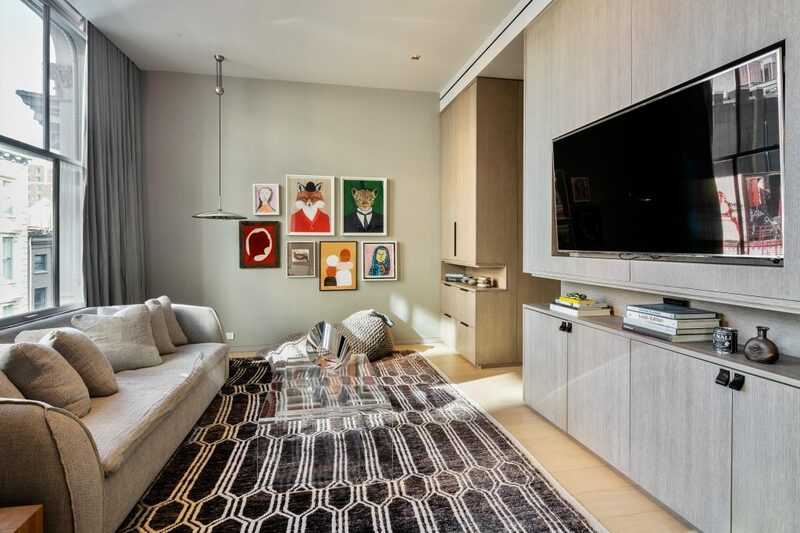 Residents of this boutique six-unit building enjoy a stunning lobby with limestone and walnut details highlighted by commissioned works of art, plus part-time doorman service and a video intercom system. 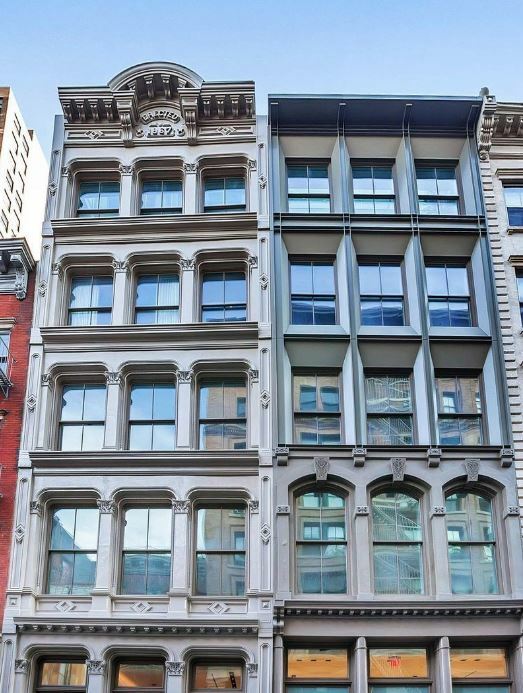 Nestled on peaceful Lispenard Street in the Tribeca Historic District, this premier home is set amidst stunning historic architecture with immediate access to SoHo, Little Italy and Nolita. Start the day with an espresso at La Colombe before enjoying SoHo's famed shopping or abundant local fitness boutiques. Premier dining at Frenchette, Mr. Chow, Au Coeval, and Locanda Verde will satisfy every culinary whim, and 500-acre Hudson River Park caters to outdoor and recreation needs. 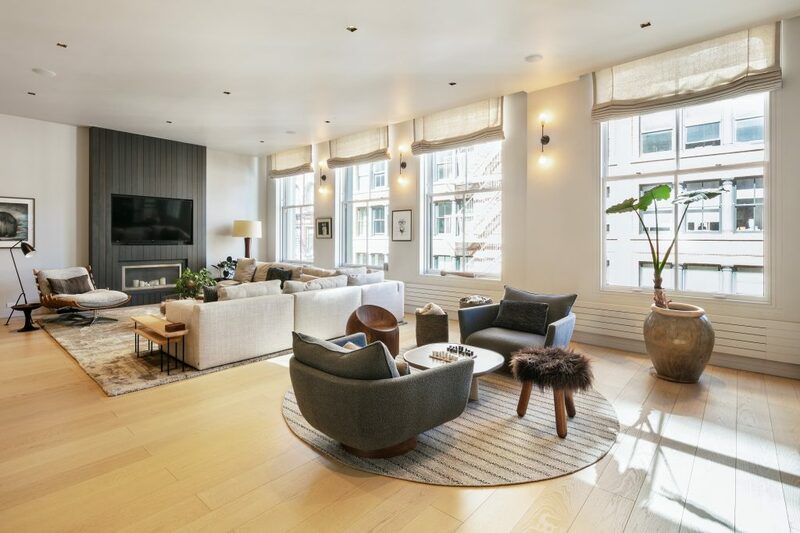 Nearby 1, A/C/E, N/Q/R/W, 6 and J/Z trains provide unbeatable access to the rest of the city.